How to choose the best food for your horse? If you want to keep your horse strong and healthy, you should know what food is the best for it. Nowadays, there are so many products on the market, so picking the right one can be a huge challenge because you can easily get overwhelmed and make a wrong decision. That is why it is essential to learn how to find the best food for your horse. 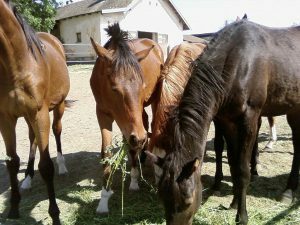 Here are some important factors that you should think about when choosing your horse’s food. First of all, you should understand that horses need different food depending on their age. If you have a young horse up to 2 years of age, you should provide food that will help your horse grow. Its diet should be rich in quality protein and should have an optimal ratio of calcium to phosphorus. Such food promotes the growth and development of healthy muscles and strong bones. If your horse is approaching old age, you should add minerals and vitamins to its diet because the body of old horses is not capable of producing enough of them on its own. In addition, your horse’s food should be high in fiber and easily chewable and digestible. By supplementing your horse’s diet, you can prolong its life, but also improve the quality of its life. Depending on how much your horse exercises or works every day, you should feed it differently. If your horse remains idle most of the day, you should feed it on low energy density food and you should avoid feeding it a lot of cereal grains and starch. If your horse is mostly active during the day, you should give it food that will boost its energy. Furthermore, if your horse is overweight, you should avoid food rich in starch, and if your horse is underweight, you should provide it with supplements and feeds high in fat. When your horse is sick, you should seek professional help when it comes to choosing proper food for your horse. Don’t make a diagnosis by yourself, because you may do it more harm than good. 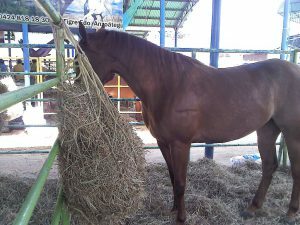 You should consult a veterinarian about the best diet for your horse. If your horse is well developed and in good health, you should give it enough roughage. The most common types of roughage for horses are hay and chaff. The general rule is that your horse’s diet should contain forage in the amount of 1.5% of your horse’s body weight. If you cannot provide enough hay and pasture, you can use fiber alternatives. By choosing the proper feeding regimen, you will help your horse be healthy and have a long life. What are the most famous horse-racing tracks in Europe?